Our site here at 1&2 Burgh Quay dates back as far as 1808 with a lot of history and stories to tell. Housed inside this wonderful 19Th century building is a microbrewery, a pub and a restaurant. We at J.W. Sweetmans would like to welcome you to be a part of something special. Number 1 Burgh Quay began as a tavern which offered welcome hospitality to the ships that were docked outside its door. Meanwhile, next door at 2 Burgh Quay, flax, rope and hemp was manufactured and sold. Later on, 2 Burgh Quay housed the Dublin Library Society. Meetings were held regularly in what we now know as the “Conversation Room”, accessible on our first floor and still parading its original ceiling roses. Here we pay homage to our site’s rich history and encourage the appreciation of great Irish literature. There was a time when Ireland was renowned for its brewing excellence, with hundreds of breweries producing beers of every description. The excise list for 1768 showed returns for forty three brewers in Dublin City, with many of these large operations employing dozens of workers. Dublin was home to a thriving and truly cosmopolitan brewing industry, with twelve breweries situated along the banks of the River Liffey by the end of the eighteen century. In 1756, our namesake, John William Sweetman, established his own extensive network of breweries in the capital. He was an esteemed politician, architect and art connoisseur. By the 1820’s, the Sweetman’s breweries were producing 450 barrels per week, and were bettered only by Guinness’ with 600 barrels per week. Now we at JW Sweetmans are delighted to show deference to the Dublin brewing industry’s rich history, while once again bringing quality Dublin brews to the fore. We offer our visitors a distinctive opportunity to view the brewing process as it takes place in the Brew House situated on the ground floor. To complement the unique range of beers brewed on site, we have developed a food offering in line with the authentic Irish service that we hope to offer to all of our guests. At JW Sweetmans, customers can try a tasting menu with dishes matched to each of our craft beers as part of the beer tasting and food experience designed by our head chef and brew master. From Dublin Coddle to Connemara Mussels, Sweetmans Own Beer Battered Cod to the Brewmaster Burger, we believe that our menu gives customers good quality, authentic Irish food. In essence, we are delighted to welcome all of our visitors to our Independent Microbrewery J.W. 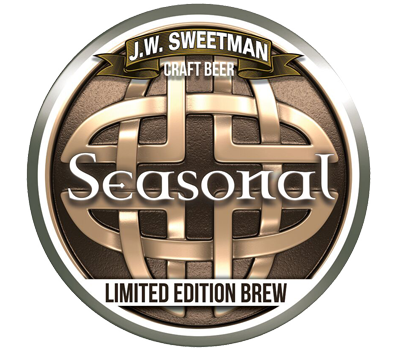 Sweetman to take part in our rich heritage of warm hospitality and uniquely crafted beers. We are proud to offer a selection of award winning Craft Beers brewed by our Head Brewer Rob Hopkins. Rob trained in New York and now consistently brews a full range of tasty and popular Craft Beers including Pale Ale, Red Ale, Weizz, Blonde, Porter, Stout and a selection of Seasonal Brews. Californian style Pale Ale made from Irish malted barley and Cascade hops from the American Pacific Coast. A traditional Irish style of Red Ale. Rich in colour from a blend of pale and dark malts. Malty sweet to taste with a hint of hops. A session beer.. Traditional Dublin Porter. The blending of malted and unmalted barley produces a dark, rich and velvety smooth ale. Notes of chocolate, tobacco and espresso. A lighter and more refreshing style of ale made from pale malted barley and a changeable blend of New World hops. Light and crisp but citrusy and full of flavour. Hefe-Weizen meaning 'wheat with yeast', this Bavarian style Weiss 'White' is highly effervescent, it is unfiltered, and hence cloudy, with a fluffy white head. 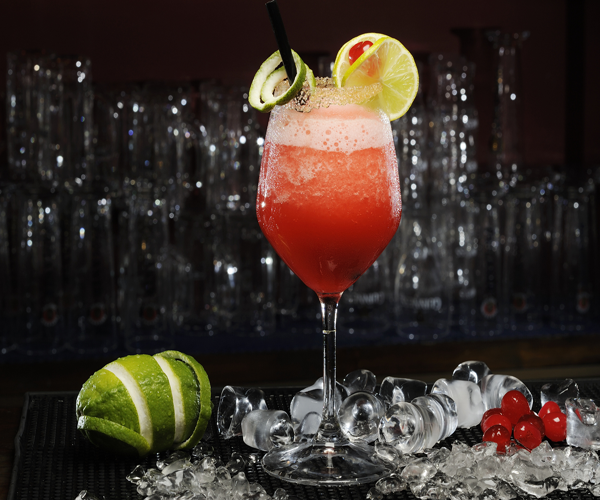 Fruity and tart in the mouth, with hints of lemon, while the dominant aromas are of banana and clove. 100% Irish Ale Malt, flaked and roasted barley with perfectly balanced hop character. Sweetman's smooth, creamy and aromatic session stout brewed by hand in the heart of Dublin by Dubs. Ask Server for details of our rotational Limited Seasonal Brews. Rotational "real ale" from one of our house styles and served through our beer engines. The traditional way of serving and enjoying beer; the ale is moved from the fermenter directly to cask where it goes through secondary fermentation and conditions naturally. All our Craft Beers Are Available for take away in Growlers or Flip Top Bottles. Take home glass bottle containing 330ml of Sweetman’s craft beer brewed on-site €6. If bottle is returned and re-used €4.70. Enjoy both our growlers or bottles in the comfort of your own home or bring them to a party! Talks are available on request for groups of 10 or more. Saute Mushrooms Onion Rings Grilled Tomato & House Chips. Served With Whiskey Pepper Sauce & House Slaw. €15 With Pint of Sweetman's Craft Beer. All Served With Sweet Chilli Sauce. Add €2 For Sweet Potato Fries. All served with Sweet Chilli Sauce. Garlic Mayo, Blue Cheese, Sweet Chilli, BBQ. Experience The Very Best of Sweetman's Craft Brewery with our Delicious Three Course Bespoke Tasting Menu Designed By Our Brewmaster and Head Chef To Show Case Some Of Our Key Pairings And Dishes. EUR34 per person. With Tossed Salad & Cranberry Sauce. Paired With Our Baverian Weiss. Celery Stick & Blue Cheese Dip. Paired With our Irish Red Ale. Two Fillets Of Fresh Cod Lightly Fried In Blonde Ale Served With Mushy Peas Lemon Wedge Homemade Tartar Sauce & Chips. Paired With Our American Blonde. Grilled Chicken Fillet Baby Potatoes Braised Vegetables In A Jameson Whiskey Pepper Sauce. Paired With Our Baverian Weiss. 8oz Prime Steak Mince With Baby Gem Tomato Onion Rings & Irish Red Cheddar On A Toasted Bap. Paired With Dublin Porter. All Served With Fresh Cream & Ice Cream. All Accompanied With Our Seasonal Brew. A mixture of Irish and International spirits.